This fourth collection of Tony Harrison's poetry for stage contains his highly acclaimed translations of Aeschylus, Aristophanes and Euripides. 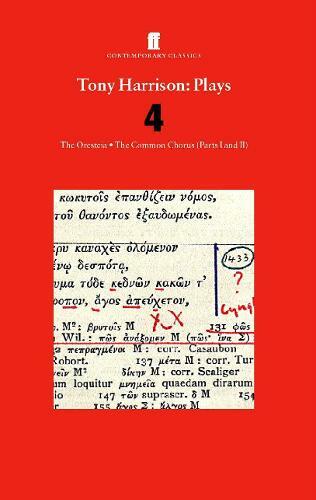 Included are the plays The Oresteia, and The Common Chorus (Parts I and II). This volume contains introductions, written by Tony Harrison, to each of the plays.